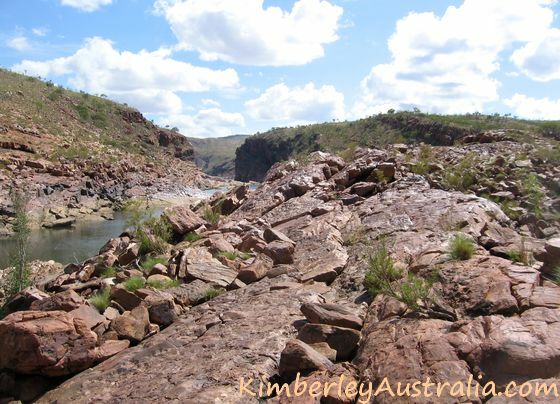 Dimond Gorge (pronounced "Diamond Gorge") is located near the Mornington Wilderness Camp, which as a whole rates as one of my top picks along the Gibb River Road. 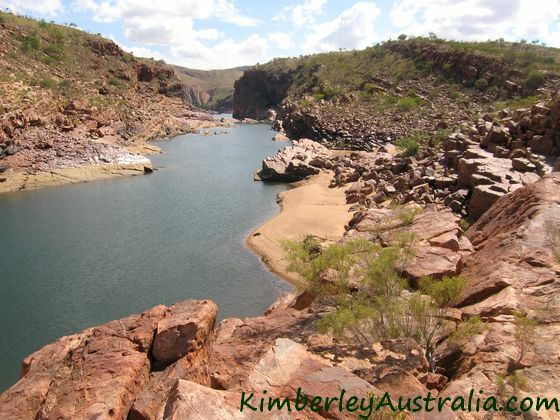 This is one of the most impressive gorges in the Kimberley, and the drive to get there is an attraction in its own right. 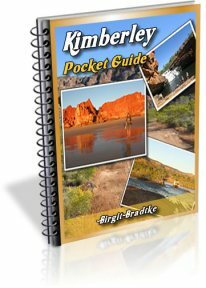 When you hire a canoe you will be supplied with everything you need, including trail notes. 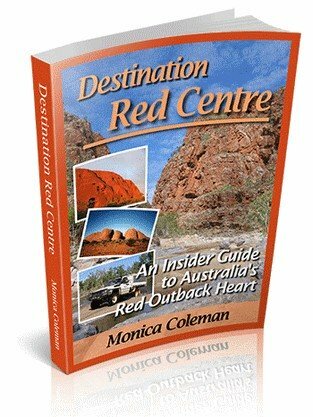 The 24 km self drive trail from the camp to Dimond Gorge takes about 1.5 hours return. Don't plan less for it because you will want to stop and take photos and admire the views on the way! As you continue you'll wonder if you stopped in the right place, because you won't be seeing any canoes. Don't worry, they are there. You won't be seeing the canoes until you are standing right on top of them. 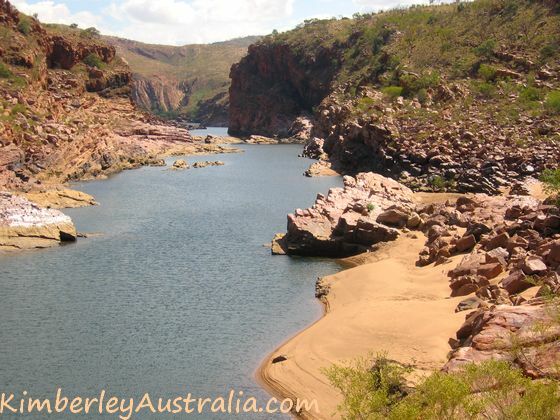 As you canoe through the narrow gap near the start of the gorge, picture what would have happened to this wonderful area if the plans to dam the Fitzroy River and to pipe all the water down to Perth would have gone ahead. This is the site where the proposed dam was to be built! 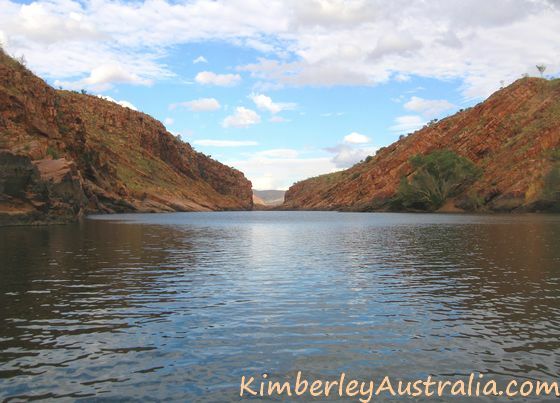 While you can not canoe as far as you can at Sir John Gorge, you can still paddle up a loooong way. Just keep paddling until you get to the end. 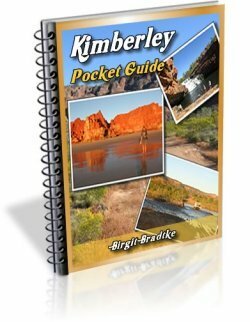 As you continue you will find little beaches for a picnic, rocks to jump off, if you like you can climb up into the bush and go exploring... There should be enough space here to get away from the other canoes. Still too busy for you? 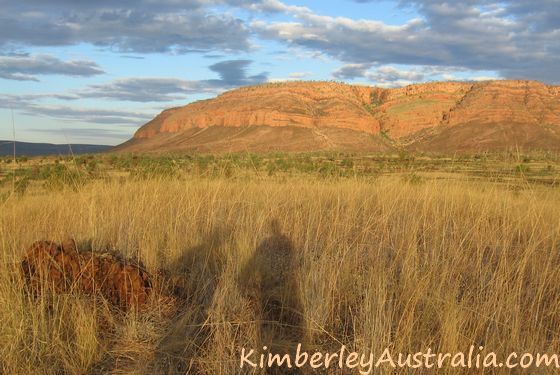 Then you definitely need to check out Sir John Gorge! 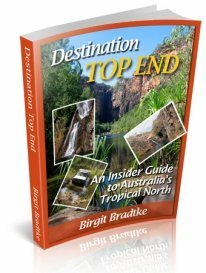 Read more about Mornington Wilderness Camp.